Our design team create school wall displays that transform even the drabbest corridor or wall space into an inspiring focal point. We use the latest print and manufacturing technologies to enable us to work in any environment, curved walls, bare brick, and ageing buildings have all been revamped with outstanding results. Looking for inspiration? 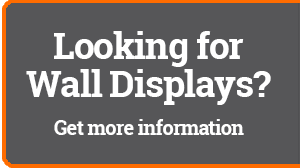 Request our wall displays brochure today! 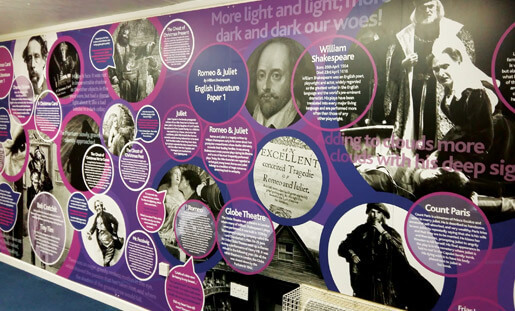 If you want to create a wow factor for visitors, then our core values displays are a perfect solution. 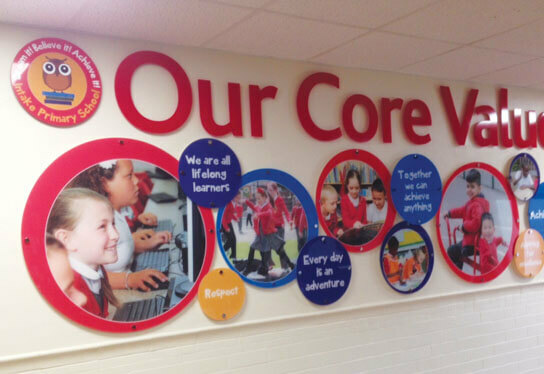 Not only do they create an amazing first impression but they also set in stone the values that underpin your school. 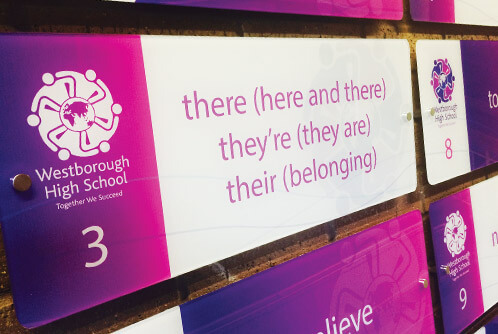 Providing a permanent reminder of your ethos vision and values to all who visit your school. ‘Just to let you know the displays have arrived and are up. They are amazing! The children and staff are delighted with them. The child in the dream photograph was shocked she couldn’t stop laughing and her mum was almost in tears! We only use the highest quality specialist vinyl to ensure they can withstand even the harshest school environments. We then cover all our displays in a tough laminate so they can be easily cleaned. This coupled with our highly skilled installation team ensure that you not only have a display which looks stunning but will stand the test of time.